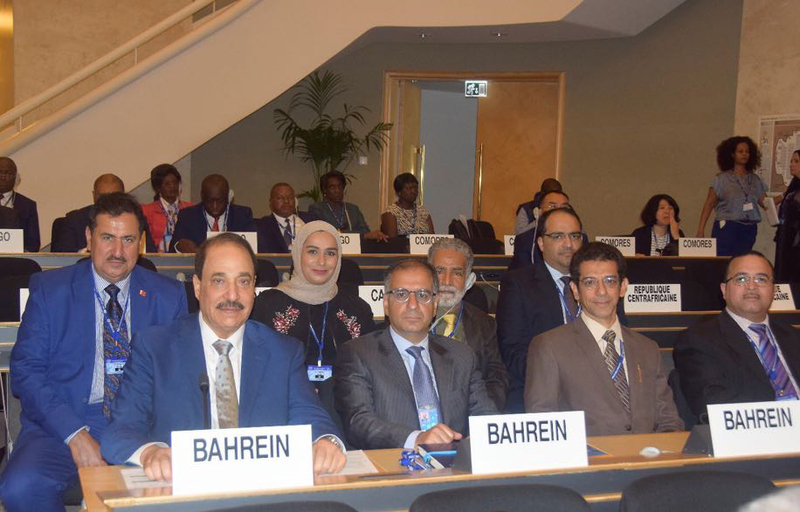 International Labour Conference (ILC 2018) has begun in Geneva with Bahrain represented at the conference by a delegation led by Labour and Social Development Minister Jameel Humaidan. The agenda of the 107th Labour Conference session focuses mainly on increasing job opportunities, as well as measures taken by member states to activate social dialogue and cooperation among the three production parties. The conference will also discuss ways to consolidate women’s participation in the labour market, equal opportunities, and ILO’s support to member states to achieve Sustainable Development Goals (SDGs). Bahrain’s participation in the event, the Minister said, falls within its keenness to support labour issues, discuss the latest development of labour markets across the world, the developments of the social protection system worldwide, as well as the prospects for the tripartite dialogue. Bahrain delegation comprises representatives of the government, the Bahrain Chamber of Commerce and Industry (BCCI), the General Federation of Bahrain Trade Union (GFBTU) and the Bahrain Free Labour Unions Federation (Al-Hurr), in addition to Bahrain’s Permanent Representative to the United Nations Office and other international organisations in Geneva, Ambassador Dr. Yousef Abdul Karim Bucheery. The conference which began on May 28 continues until June 8 with the participation of labour ministers, labour organisations, workers’ trade unions and experts. This entry was posted in Daily Tribune and tagged ILC, International Labour Conference, Labour and Social Development Minister by Labour Market Regulatory Authority. Bookmark the permalink.